Improve corn germplasm by selection and other genetic methods, as well as develop and release adapted inbreds for use as parents of hybrids. Further improve technologies of compositional assessment. Improve the forage yield and compositional attributes of corn germplasm as a genetic resource to produce ligno-cellulosic feedstock material for bioconversion. The program is a broad-based effort including research on breeding, crop management, animal nutrition, and cell wall compositional analysis. We encourage critical review of our work so that we can incorporate new information on silage and biofeedstock productivity, quality, and germplasm that will be relevant and readily available to all. 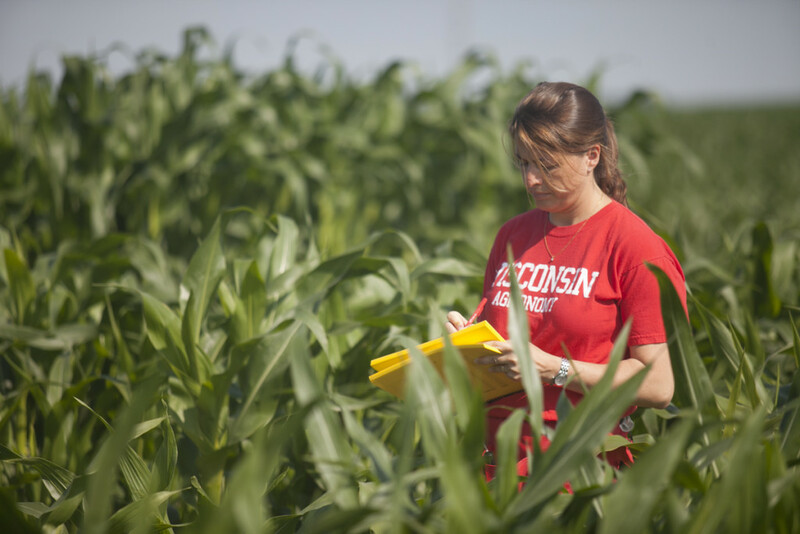 The UW Corn Silage and Biofeedstock Breeding Program has one additional benefit that is critical for the continued success of the corn breeding industry. It is an outstanding training opportunity for graduate students to become thoroughly acquainted with the breeding procedures used to produce hybrids. Four inbred lines have been released this year. W613S (40168-1-1-3-1-1) and W614S (40262-1-1-1-2-1-B) were developed from cycle 3 of the Wisconsin Quality Synthetic (WQS C3) population. W615S (50197-1-1-2-2-2-B) was developed from cycle 0 of the GEM Quality Synthetic (GQS C0) population. W616S (AR16026:S1719-052-2-B-B-B-20-1-1-1-B) was developed from the breeding population identified as AR16026:S1719-052 provided by the USDA Germplasm Enhancement of Maize (GEM) project. These lines were selected on the basis of high forage yield, neutral detergent fiber (NDF), in-vitro dry matter digestibility (IVD), and high protein and starch concentrations. In addition, these lines provide adequate maturity and good overall plant health. Five inbred lines were developed from germplasm provided by the USDA GEM project and released in 2009 (W606S, W607S, W608S, W609S and W610S). Two inbred lines were developed from WQS C2 and released in 2009 (W611S and W612S). W605S was released in late 2004. Four inbred lines from WQS C0 and C1 were released in 2003. W601S (S5 = 53062-2-11-1-1) was developed from WQS after the first cycle of selection. W602S (S5 = 80063-1-2-3-1), W603S (S5 = 80259-2-2-1-1) , and W604S (S5 = 80353-2-3-5-1) were developed from WQS after the second cycle of selection. Selection for all lines was initiated at the S2 stage of inbred development, at which time they were evaluated in topcrosses to LH119 (W601S) and LH198 (W602S, W603S, and W604S). These lines were also topcrossed at the S5 stage to inbreds LH198 and HC33. The topcrosses were evaluated in several field environments and selected on the basis of forage yield, neutral detergent fiber (NDF), in vitro true digestibility (IVD), in vitro NDF digestibility (NDFD), protein, starch, and, as a result, milk production potential. W601S – W604S are approximately 50% Lancaster background and 50% broad-based high-quality germplasm from northern temperate regions. The inbred lines combine well with lines derived from the Stiff Stalk heterotic background to provide average to high yielding hybrids with good nutritional quality. If you are interested in our silage germplasm contact Natalia de Leon (ndeleongatti@wisc.edu). If you would like to receive inbred or hybrid seed, you will have to fill out a Material Transfer Agreement that is available from WARF. Breeding populations are available with a licensing agreement. Refer to the Germplasm page for more information. For more information on accessibility to these lines, please email Emily Bauer from WARF. All cycles of the WQS, GQS, and WGRCOMP breeding populations will be available for a nominal fee ($500 for private companies and no charge for public institutions) without further restrictions to all who request this material. All families inbred to the S4 and later generations will be available to all who request them (as long as seed is available), but they will remain property of the University of Wisconsin and subject to licensing/patenting restrictions provided bythe Wisconsin Alumni Research Foundation (WARF). There is a $100 germplasm transfer fee/inbred line for all released inbred lines. For further information about W606S-W610S, W615S-W616S and the University of Wisconsin Silage Breeding see the Public Cooperator Reports by de Leon on the Germplasm Enhancement of Maize (GEM) web site. If you are interested in our silage germplasm or technology contact Natalia de Leon (ndeleongatti@wisc.edu). If you would like to receive inbred or hybrid seed, you will have to fill out a Material Transfer Agreement that can be obtained from WARF using the links provided above. Breeding populations are available with a standard license agreement that can also be obtained from WARF. 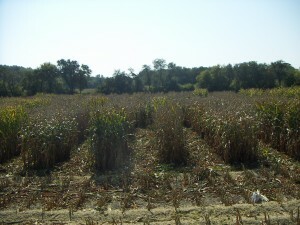 Gravit Theme powered by WordPress	Silage Breeding is part of the Agronomy Department of the University of Wisconsin-Madison. Copyright ©2006 The Board of Regents of the University of Wisconsin System. Feedback, questions or accessibility issues: ndeleongatti@wisc.edu.